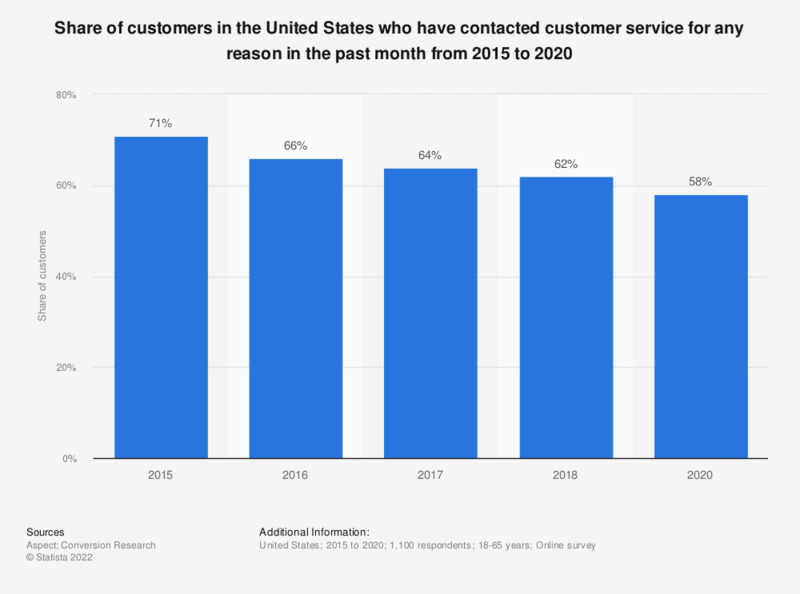 This statistic shows the share of customers in the United States who have contacted customer service for any reason in the past month from 2015 to 2018. In 2018, 62 percent of customers stated that they contacted customer service in the past month. * Includes by phone, online, live chat, text. This question was phrased by the source as follows: "Have you contacted customer service (by phone, online, live chat, text, etc.) for ANY reason in the past month? ".